To hone our expertise of electronic repairs in the industrial sector as well as the railway industry while capitalizing on a personalized customer service and committed team of seasoned technicians. To grow our leadership in electronic repair and become the leading force of the North American market. Our customers are at the heart of everything we do. 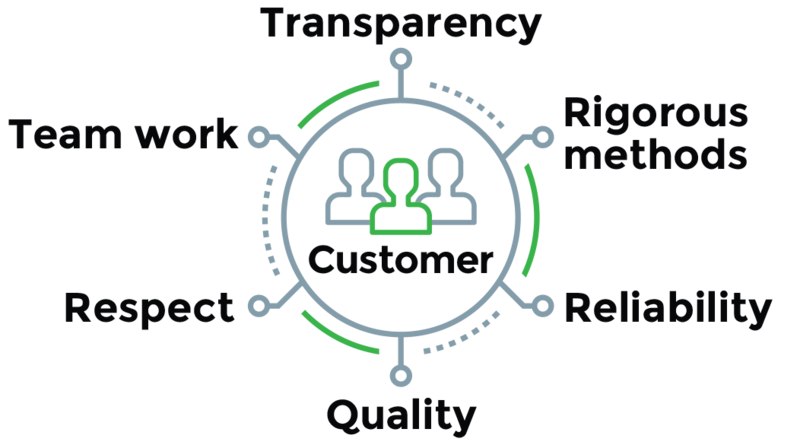 On top of offering an exceptional customer experience, we stand out by our rigorous methods, reliability, transparency, respect and the quality of our work and team spirit. 60% of savings vs buying a new part! We are honest and transparent with our customers! We offer long term support! Aware of our role in the community, we actively support non-profit organizations dedicated to children in need. We also support organizations that promote organ donation.